We just found this in the latest CDNN Investments catalog. Act quickly. When we called at 11:00am Pacific Time on 2/25/2008, CDNN had sold six (6) CZ 452s this morning and had just five (5) left. Call 1-800-588-9500 to order. At $409.00 (regular price), the CZ 452 is a fine value. At $279.99 it is a steal. 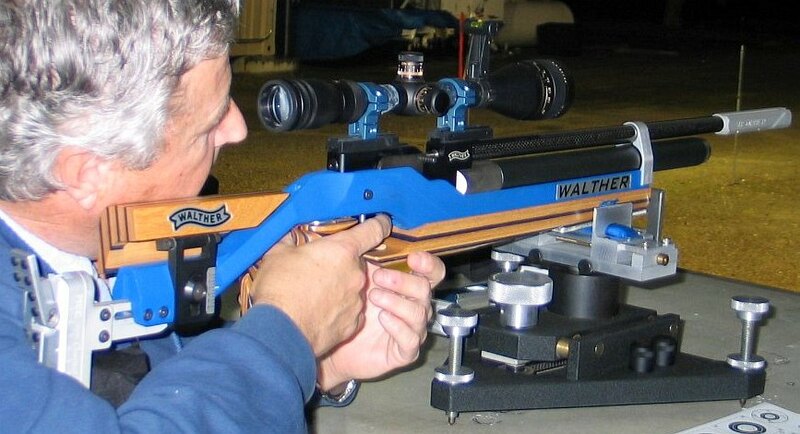 You get a nice walnut stock, excellent accuracy and reliability. 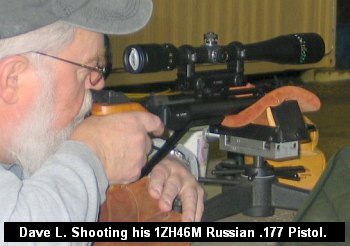 The trigger can be brought down to about one pound with an inexpensive Brooks Trigger Kit. 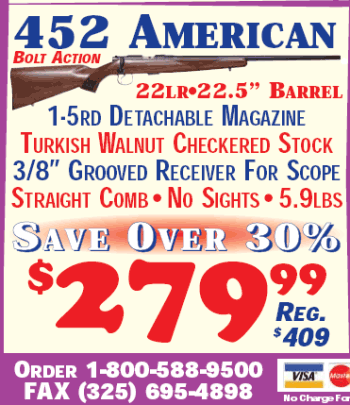 Share the post "CZ 452 American 22LR for $279.99 at CDNN"
Air Apparent? Open Grove Launches Air Rifle BR Matches. With the price of ultra-premium 22LR match ammo edging past $20 for fifty rounds, some dedicated bench shooters are turning to airgun technology to expand their shooting options. 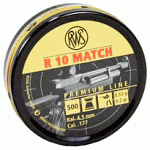 A tin of five hundred (500) RWS or JSB match pellets costs just $4 to $14. Compare that to spending $50 or more to shoot three 25-round target sheets with premium Eley or Lapua rimfire ammo. Share the post "Air Apparent? 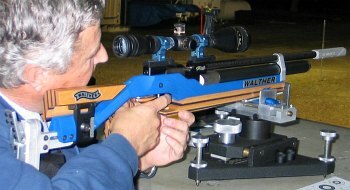 Open Grove Launches Air Rifle BR Matches." Who Needs Targets If It's loud and Goes Bang? Purist readers may blanch at this Bulletin item, but every once in a while we need a good laugh, right? Indulge your editor in this — I just couldn’t resist ruthlessly mocking the mentality found on some main-stream gun websites. I found this item on another popular web forum. In the post the owner was bragging about his new Kel-Tec PLR-16 .223 Pistol. If you’re not shooting at any targets, one wonders why spend $500 in the first place. But maybe we should give Mr. Kel-tec Pistol some credit for his creativity…. 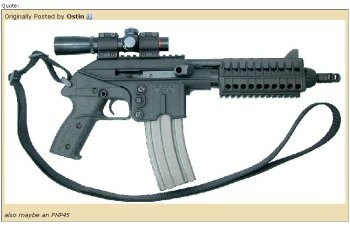 When you think about it, maybe Mr. Kel-Tec could start a trend. Imagine the labor savings at highpower matches if we removed the targets–you’d no longer need a crew in the pits. And if “point-blank” benchresters no longer shot at targets, they could retire their forests of windflags. 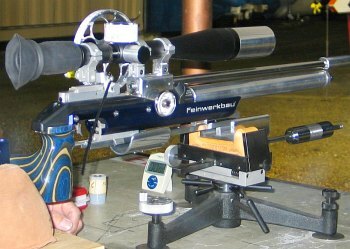 In the F-Class game, eliminating targets would promote the use of low-cost, low-recoiling calibers, such as the 22 Short, for 1000-yard shooting. If there’s no target, it doesn’t really matter if the bullet never gets there, right — you can still claim a perfect score every time! And if we didn’t shoot at targets, we wouldn’t have to keep ponying up more and more money for the latest and greatest $2000+ target scopes. Heck we wouldn’t need scopes at all…. Share the post "Who Needs Targets If It's loud and Goes Bang?"